Nick Carnell LLB, FCIArb is a partner in the construction group of the leading law firm, Kennedys. He has over 15 years’ experience of acting in construction disputes for a wide variety of clients including developers, contractors, subcontractors and members of the design team, and during this time he has developed an interest in matters which cause delay to construction projects and the proof of delay claims. In recent years, he has acted particularly in a number of complex disputes relating to the design and installation of communication systems in major infrastructure projects. 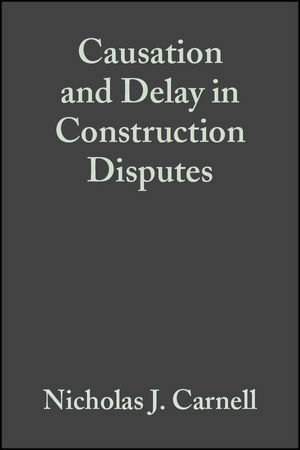 Preface; Acknowledgements; List of Abbreviations; Time is money; Planning the project; During the works; Completion dates; Claim preparations – preliminary considerations; Legal considerations; Analysing the causes of delay; Presentation; Proceedings – arbitration, litigation and alternative dispute resolution; Appendices; Notes; Table of Cases; Table of Statutes; Bibliography; Index.